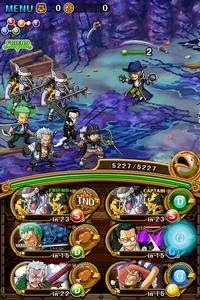 OPTC Guideblog: Kuro's Master Plan!!! Somebody has been plotting behind the shadows... A new difficulty has been created... Are you ready to face Kuro's Master Plan? 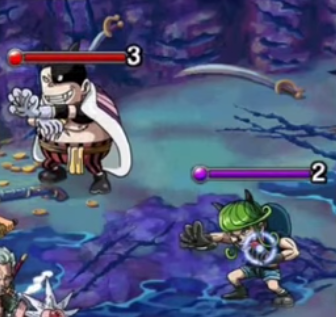 Captain Kuro: Slasher Teams can pick up the darling QCK Slasher in his non-evolved form. Captain Kuro is ready to be farmed and join your respective team. Django: With a Future Evolution that converts [INT] Orbs to [PSY] Orbs, Django is a worthy pick-up for those PSY users that want a unit similar to Towel-Nami. Even alone, Django fits as a nice Orb Manipulator. The moment you've ALL been waiting for... The chance to level your Golden Pound's Skill to the MAX. At 10 Turns, almost every battle will become a sure win! A team that almost everyone should have by now - Ashura Zoro is the pinnacle of strength in this island. 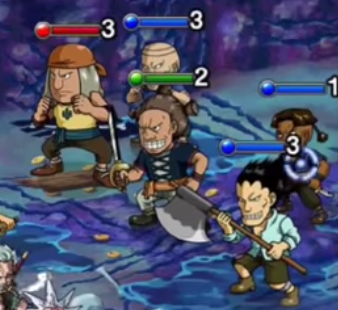 It will be the number 1 team for clearing this Fortnight Island. 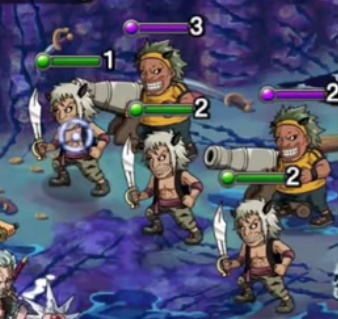 With double Zeffs and other Fighters - This 6.25x ATK Team should be able to handle Kuro's island fairly well. It will hold one of the coveted spots as suggested team. Click to go to more details on Fighter Teams. Click to go to more details on INT Teams. You could probably stall 1-2 Turns here. 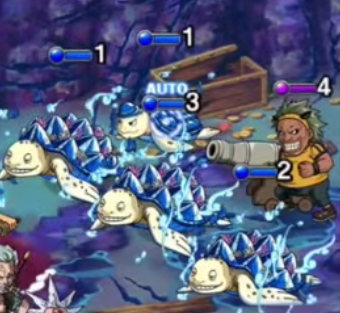 The new Turtle Stage - tons of Opportunity to Stall here! The Young Turtle may change into another mob for you to deal with. But nothing to be worried about. Siam is not very tanky and has approximately 70,000 Health. Butchie will be tankier and have about 200,000 Health in comparison. Butchie deals around 5,004 damage. What is better than 1 Crab to stall on? 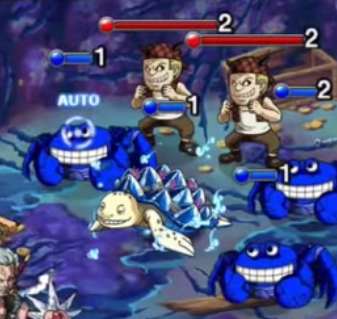 The map before Kuro has Turtles and Crabs, use them to stall and get all your Specials loaded. Don't be frightened by his large Health, his weakness is his turn-count before his First Attack at 3. !! !-update: He may have 1-3 Cooldownturns before attack.!! With a swift delay, a 6-Turn Kuro shouldn't be much threat and can only touch you once or twice at most. 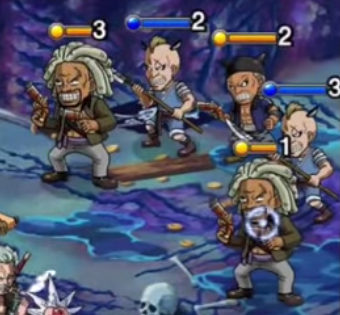 Unfortunately, we don't have any pictures however we can say - Django appears randomly around the dungeon from Stages 1-6. 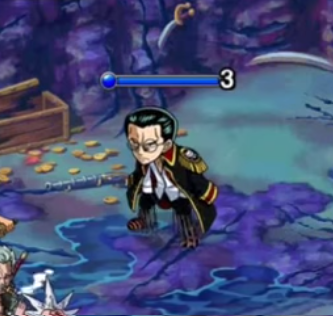 He will/can appear in all versions of the island from 5 to 30.